In a previous article, we explored the 3Doodle pen by Wobble Works, a 3D printing pen that allows designers and architects to draw 3D lines and shapes in the free air. 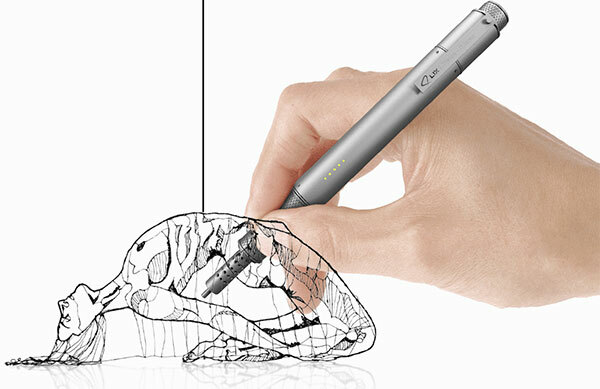 A new Kickstarter initiation to create Lix Pen, a new 3D printing pen with stylish aluminum body. The new Lix Pen will be provided to the end user with the price of USD$139. 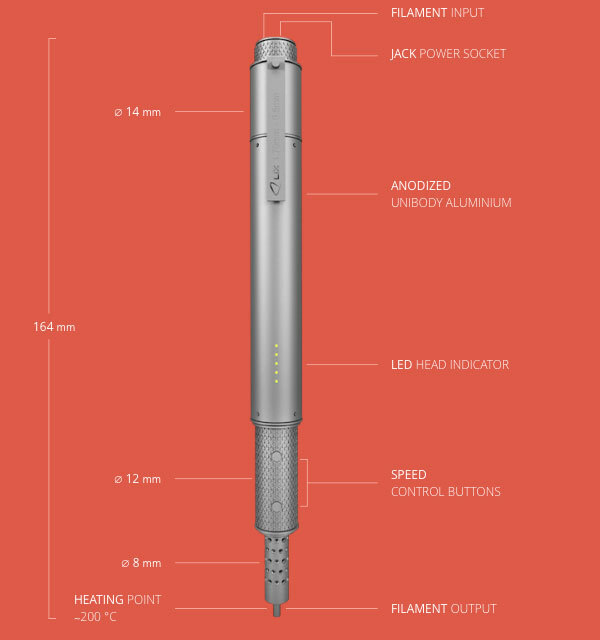 The new Lix Pen works the same way as the other 3D printing pens using filament that is heated inside the pen and goes from the tip to draw in the free air. There are two types of the supported filament, the ABS and PLA. The ABS filament is a petroleum-based plastic with high strength, flexibility, and high melting point begins at 180 ºC and works at 230 ºC. The PLA filament is plant-based with support to wide range of colors. However, less strength and flexibility that ABS and sensitive to moisture. It melts at 160 ºC and work at 180ºC. Learn more about the different 3D printing materials (What are the Types of 3D Printing Materials?). The new 3D printing pen by Lix pen has a light weight and quick melting for the filament as well as quick cooling for the created shapes, which maintain flexibility to draw sustainable shapes and objects in the 3D space. The Lix Pen can be used in various projects including T-shirt designs, 3D space typography, and provides better visualization or ideas and drafts. You can use the Lix Pen by simply insert the filament to the back and the pen and start heating it by plugging the power cable in the power or any USB outlet, wait until the filament is heated in less than 1 minute, and then start to draw your ideas in the 3D space. The Lix 3D Pen is available in black matte and white matte colors and can preorders via Kickstarter.